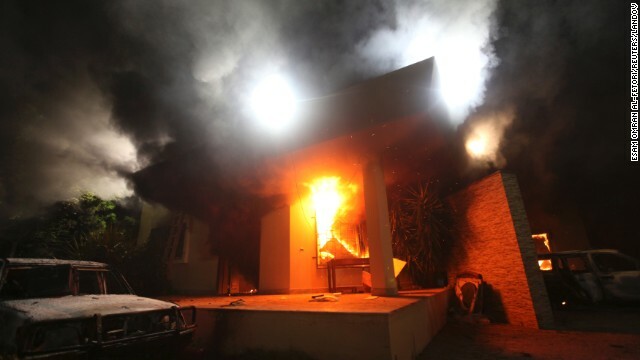 Federal agents and prosecutors investigating the attack on the U.S. diplomatic compound in Benghazi have filed charges against Ahmed Khattalah, leader of a Libyan militia that officials believe was involved in the assault, people briefed on the investigation said. The charges under seal are the first criminal counts to emerge from the probe. The investigation of the attack last September 11 that killed Ambassador Christopher Stevens and three others continues, these people said, as investigators try to build their case against Khattalah and others who authorities believe were involved. With the anniversary of the attack looming, the Justice Department has come under criticism for the lack of public progress in the case. You can tell that the White House believes that they finally need to do something because it is getting close to year anniversary of the attack in Benghazi. They only do something when they think it will benefit them. They didn't want the voters to hear that the President hadn't done anything. As soon as 9/11 has passed, the WH will go back to being dismissive of these "phony" scandals where Americans died their "phony" deaths. CNN found them in a public place why can't the government find them? Democrats will continue to play their ignorant card after all they play it so well. I think they should make it public though, but it's a start. SHEEP! Get back in line and follow your REP/DEM Shepherds to your demise. Now all what the FBI has to do, is to go take him into custody.